Here at Crown we always strive to offer the best possible service to our customers, that’s why we have had thousands upon thousands of recommendations. Just to prove how good we are, view our testimonials below and see what our customers have to say. A big thank you to all at Crown for their help and professionalism from start to finish. The work was completed in the time span set as we were going away. All work was completed to a very high standard with no mess. The job done is very neat. I would recommend this company without hesitation. Thanks to everyone in the team. I wish to compliment you for providing me with an excellent service at a competitive price. Your fitter Dave from Birmingham did an excellent job on my property today. My new window units look great. Dave paid particular attention to detail and left my property very tidy. Please convey my special thanks to Dave for his hard work. The product is very superior, and I am very impressed with Aluplast. I am now considering getting all the windows in my cottage replaced by these units. Well done Crown. I am so pleased with the conservatory Crown Windows installed for me. The finish is excellent from inside out, and it looks very nice. Moreover, the installation finished before the agreed completion date and all the people we have dealt with from Crown have handled the whole job excellently and on time. Special thanks to Dave for his door suggestion and Gary (Sales) for his excellent guidance and help thought out from start to finish.  Having spoken to several local suppliers for my replacement windows, front, back doors and two French doors, we were delighted we chose Crown. One for the competitive prices but above all, the quality of the product and the people at Crown were friendly and excellent, and we are sure we chose the best firm. The short time between order and installation was a bonus, and everyone we dealt with at Crown was a pleasure to deal with. We will recommend Crown to friends and colleagues without any hesitation. Thank you for such a great product and excellent service. I would like to start off by saying that Crown Windows were recommended to me by a friend, and having dealt with them, I have no problem in recommending them to anyone and everyone. Their experience and knowledge in this field is second to none. From the first phone call to the installation of the windows the company has been very professional and helpful. The salesman explained everything to me, what I could have and what I couldn’t. They delivered and installed when they said they would. They were clean, tidy and polite. I have had no problems with my windows since they were installed, and I am very happy with the whole experience. Therefore I have no problem with recommending Crown Windows. Your boys have made this wreck feel like a home! Really feel we have made good progress this week, windows and doors look amazing! So thrilled we chose CROWN to up the kerb appeal, so successful. Thank your team here and back at the office, a dream come true! Dave and Cheryll, thank you so much, your kindness with my door was greatly appreciated. Your kindness, which means so much to me. for your advice and a fantastic looking door.